Yearly eye exams are recommended to monitor both your eye health and your overall health. In some cases, more frequent exams may be necessary to monitor for the progression of diseases like macular degeneration and glaucoma. 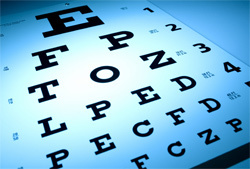 Conditions like diabetes and hypertension affect your eyes as well as the rest of your body. Other inflammatory diseases can also affect your eyes. In most cases, we will dilate your pupils (the black center portion of your eye) so that we can get a full view of the inside of your eyes. This also lets us look all the way to the edges of your retina to check for any retinal holes, tears, or detachments. Pupil dilation usually wears off in 2-4 hours, but may last longer in some people. You may be sensitive to light and your vision may seem slightly blurred. However, the benefits of a full, dilated eye exam outweigh the temporary inconvenience.